LG has let it slip that it plans to start selling smaller, 48-inch sized OLED TVs in the future. The announcement came during this week’s OLED Korea conference, where the company laid out its future plans for OLED that includes more form factors and flexible, rollable and transparent panels, OLED-info reported this week. LG is betting big on its OLED technology, knowing full well that it has a huge advantage in the segment as it’s the only brand capable of manufacturing the display panels efficiently enough to be able to mass produce them. Indeed, the company recently vowed to speed up its transition from LCD to OLED, pledging to invest $10 billion (around £8 billion) into its research and development efforts. The company also recently dropped plans to finish the construction of its new 10.5G display LCD panel manufacturing facility in Paju, South Korea. Instead, it will use the money earmarked for that endeavor to accelerate the construction of a second, 8.5G OLED plant in Guangzhou, China. LG’s decision to make smaller OLED screens available should be welcome news to many consumers. After all, one of the biggest criticisms of the technology is that OLED panels are only available in a limited number of sizes; namely 55-inch, 65-inch, 77-inch and 88 inches, which means that every OLED TV is essentially a premium product. Combine that with the fact that OLED panels are far more expensive to manufacture than their LCD equivalents, and it means that OLED TVs are priced out of the reach of many potential buyers. A smaller option could help to bridge the gap and make OLED more affordable to larger numbers of potential customers. Another consideration is that some consumers who want to buy an OLED TV may not be able to fit one into their living rooms, and so a smaller option might just be the compromise they’re looking for. 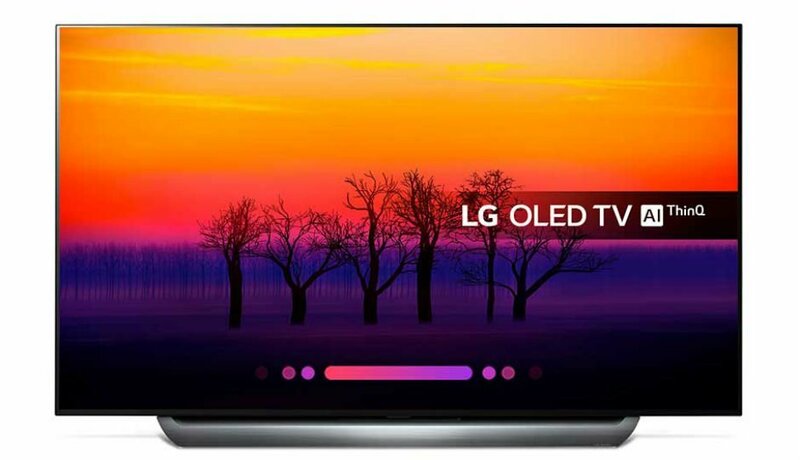 LG hasn’t provided any timeline for when it plans to start selling its smaller OLEDs, so it could quite a while before we see them in the shops. At the same event, LG also said it’s planning to expand its 8K OLED TV lineup with new 65-inch and 77-inch panels. Again, the company hasn't said exactly when it intends to do this.